Primus Collins was a man with great responsibilities within his community. He mediated disputes, ensured that laws were obeyed, and handed out punishments when necessary. He was similar to any other governor, with one exception—Primus Collins had once been a slave. 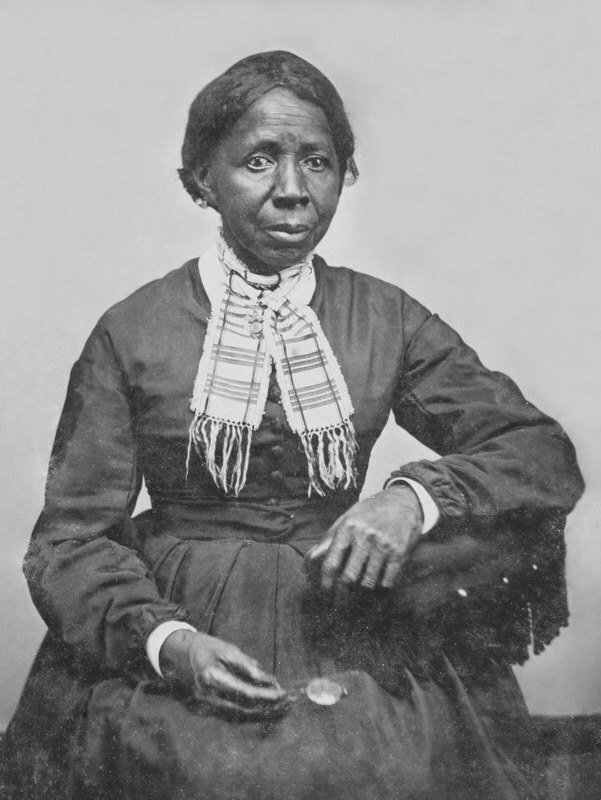 Collins was born in Newport, Rhode Island, in 1777, to enslaved parents Sorphox and Phillis. At the age of four, Primus’s master gave him to Colonel William Richmond of Little Compton with a term of twenty-five years of servitude. During the Revolutionary War, Richmond gained fame by raising a regiment to fight for America’s independence. According to the 1800 Federal census, Collins belonged to a small group of twenty-two enslaved African-Americans in Little Compton. Colonel Richmond owned other enslaved persons, including Saul and Saul’s wife (name unknown). Richmond gave one of the couple’s children to local clergyman Mase Shepard. By the end of the American Revolution, most slaves in Little Compton had been freed or their contracts turned into apprenticeships. Some had joined the black regiments in the Revolutionary War with the promise of freedom in exchange for serving. Primus remained enslaved. Around 1800, Colonel Richmond freed Collins, releasing him from his term of service about five years early. There are no records to indicate why Richmond’s attitude toward slavery changed, but he also gave Collins a farm plot adjacent to his own land that became known as Primus’ Flat Iron because of its triangular shape. This land gave Collins the legal right to vote in state and local elections as a free, property-owning man. However, the first time Collins tried to vote, the moderator at the polling station would not allow him to cast a ballot. His former master, Colonel William Richmond, who had encouraged Collins to vote in the first place, interceded on his behalf, raising his cane and shouting, “That man shall vote!” and Collins was able to cast his ballot. The legal status of freed slaves was unclear in early nineteenth century America. The voting laws in some states allowed people like Primus Collins access to local politics. Perhaps in response, Little Compton’s Isaac Wilbour, Chief Justice of the Rhode Island Supreme Court, supposedly inserted the word “white” into the state voting statute. The voting rights issue would not be resolved until the passage of the 15th amendment in 1870. In spite of this, Collins continued to vote in Little Compton throughout his long life. He married, purchased additional land, and upon his death in 1858 left this inheritance to his daughters, including Lucy, shown in the photograph. Collins was nominated to serve on the Rhode Island General Assembly, but racial sentiments prevailed and he was not appointed. Throughout the eighteenth and early nineteenth centuries, black communities in New England chose their governors on an appointed “‘Lection Day,” an event that combined North American and West African celebratory traditions. ‘Lection Day usually began with a procession to the polling place, and a “grand jollification” when the ballots were counted and the winner of the election was declared. The celebration included singing, dancing, and another procession to the home of the new governor, who treated supporters to food and rum. It was a fitting celebration for a new governor, and for the life of a remarkable man who achieved success far beyond the boundaries that confined him. His grave is located in the Old Burial Grounds next to his wife and daughters. Imagined Portrait of Primus Collins : Although no photograph or painting of Primus Collins exists from his lifetime, this imagined portrait of him depicts as he was in his later life - a respected, free, landowner who was well-liked by most citizens of Little Compton. 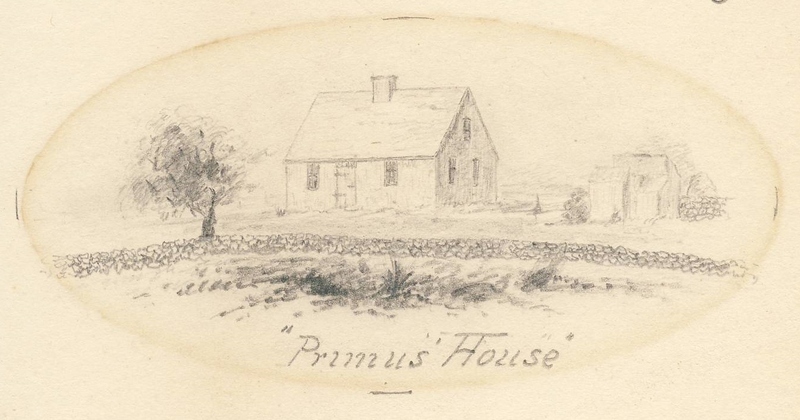 "Primus' House" : This sketch, drawn by John Church in 1854, depicts the house on "Primus' Flat Iron" where Primus Collins once lived. Lucy Collins : Lucy Collins was one of the daughters of Primus Collins. Upon his death in 1858, she and her sisters received a small inheritance from their father, a tribute to his success in farming and landowning. 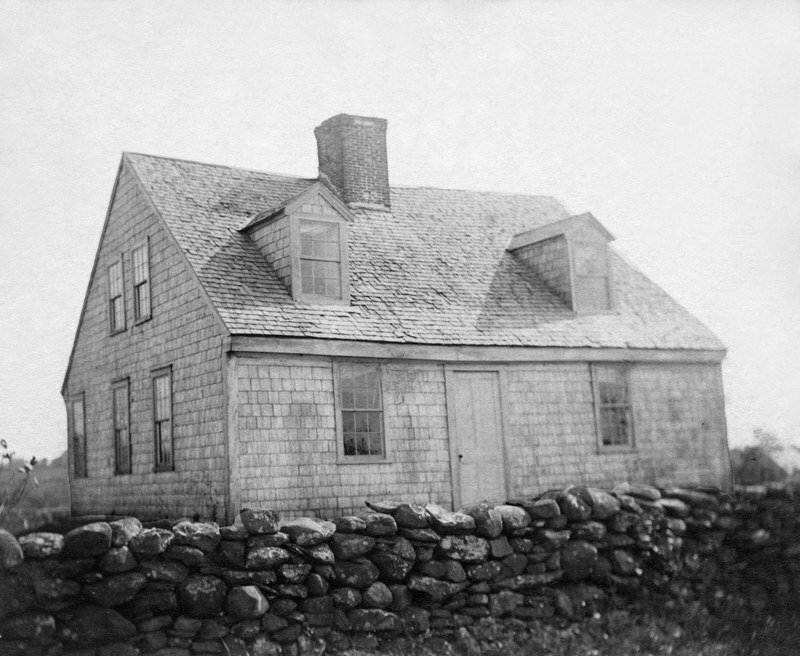 Lucy Collins' House : This house, which formerly stood in the Little Compton Commons area, belonged to Lucy Collins, one of the daughters of Primus Collins. 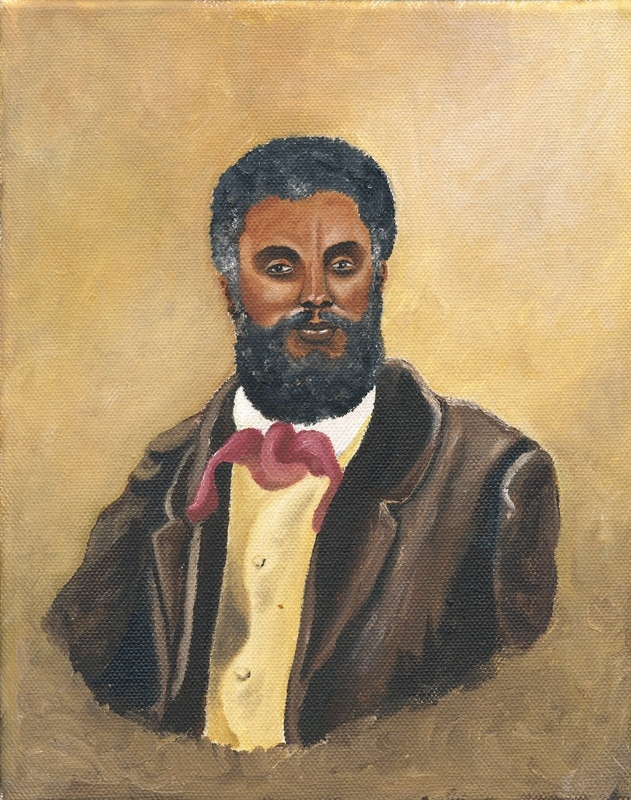 , “Primus Collins: Freed Slave and Governor,” Rhode Tour, accessed April 21, 2019, http://rhodetour.org/items/show/124.